Wales begins in mist. In the mornings, the clouds descend to cover the hillsides and permeate the valleys, as if hiding the country from the modern world. At these moments, deep in the fog, with the battering winds of the Irish Sea sounding like the screams of banshees, the mystical Celtic spirit feels strongest. And much like the wind, the Welsh spirit blowing across the landscape increases in intensity the farther north you go. Ever troublesome for its recurring rebellions, the north is where England's King Edward I (aka Longshanks) built his celebrated iron ring of castles to quash unrest. For many Welsh, the grudge remains — at least enough to cheer on any sports team against England. In the south, particularly in the southeast, tempers are distinctly more English (however much the population denies it). Only about 10 percent of residents here speak Welsh, undoubtedly less than those who use HTML among the tech-savvy, future-oriented youth. 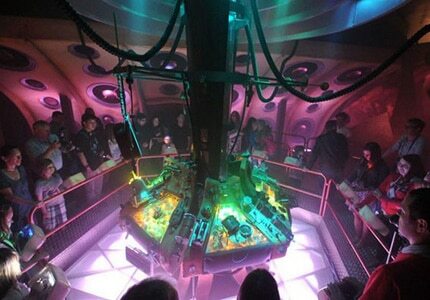 Indeed, Cardiff, the Welsh capital, has become a center of hipsterdom in the U.K., in part from its prominent role in TV shows like "Doctor Who" and "Torchwood." It was also in Cardiff that the Welsh National Assembly first opened its doors in 1999, kicking off a transformation of the country. What exactly the new Welsh identity should be is under debate, but one thing most everyone agrees on is that tourism will play a key role. Visitors definitely need a car, plus sturdy legs (and boots) — particularly up north, where the often-raw landscape makes any serious day of exploration end with an exhausted, but satisfied, collapse onto a bed. As Wales' largest transportation hub, with extensive airport, bus and train links, Cardiff is the most sensible place to begin. 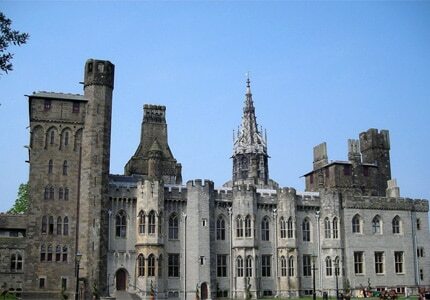 Start the day at Cardiff Castle, at the south end of the city's largest park. Covering 2,000 years of history, the castle is something of an architectural smorgasbord, featuring Roman walls, a central Norman keep and a Victorian Gothic fantasy palace by architect William Burges, with impressive murals, elaborate gilding and wood carvings, stained glass and marble. Afterwards, enjoy breakfast, lunch or afternoon tea at the Pettigrew Tea Rooms. Housed in a Victorian ornamental gatehouse just outside the castle walls, Pettigrew serves a delicious pot of organic lavender grey tea, finger sandwiches and toasted crumpets. Outside, the River Taff flows by on its way to the Bristol Channel. 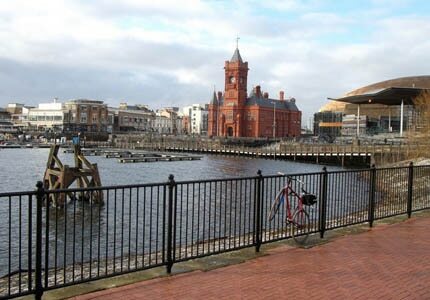 It's also the most pleasant route to Cardiff's waterfront, which has undergone extensive revitalization in the past decade. The waterfront is now the city's premier place to stroll, with quirky art instillations and sculptures such as the Roald Dahl Plass and shrine to Ianto Jones, a beloved character on "Torchwood." There are also funky bars, cafés and shops around Mermaid Quay. The real highlight of the waterfront, however, is the Doctor Who Experience. It helps if you are a fan, but even if you're not, the visit is still a rollicking good time, not just for kids but for the kid in all of us. Have a meal at the gorgeous Victorian sanctuary-turned-restaurant Chapel 1877, then drive north on the A4042 to southern Wales' other major tourist destination, Brecon Beacons National Park. Covering 520 square-miles of hinterland, the area in and around the park offers dozens of worthwhile stops. To immerse yourself (literally) in the land, tour Big Pit National Coal Museum in Blaenafon, where you'll don miners' gear and descend 300 feet below ground. The narrow passages and press of darkness are enough to trigger any latent claustrophobia, but the 50-minute tour is a fascinating and educational experience. Not only will you emerge above ground with a new appreciation for mining, but also for the sun. 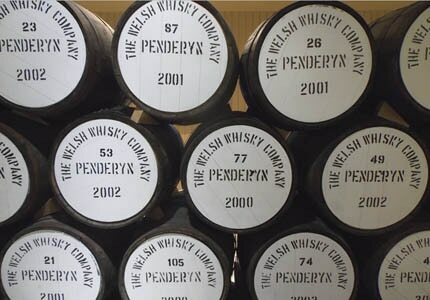 From Blaenafon (after a taste of local cheese at the Blaenafon Chedder Company), head west along the south edge of the national park, then turn north into the park at Hirwaun and up to Penderyn to visit Wales' only whisky distillery. Considering all the amazing Scotch and Irish whiskey in the U.K., it might be easy to laugh off this tiny Welsh upstart, but that would be a mistake. Using a single-pot process invented exclusively for the distillery by David Faraday (descendant of the scientist Michael Faraday, who discovered electromagnetic induction), Penderyn produces an award-winning, madeira-toned brew. Continue to the north edge of the park, turning east again on the A470 and following it all the way to Talgarth for a locally-sourced lunch at the Baker's Table in the renovated 18th-century Talgarth Mill. The food is hearty enough to fortify you for a few hours of exploring the village of Hay on Wye, located 14 miles to the northeast on the A438. Few more idyllic villages exist in Wales, and a poetic spirit seems to waft in with the winds off the nearby Wye River, which inspired William Wordsworth's poem "Tintern Abbey." Literature is central to this village, which boasts more than 20 bookshops. Spend an hour thumbing through the stacks, or start planning a second trip during the annual Hay Festival of Literature and the Arts in late spring, dubbed by Bill Clinton the "Woodstock of the mind." If all that walking works up an appetite, try to save it for an evening meal at the Lake Country House Hotel, a former Victorian hunting lodge 25 miles to the northwest in Llangammarch Wells. The property's 50 acres of gardens account for the menu's freshness (best tomatoes ever).